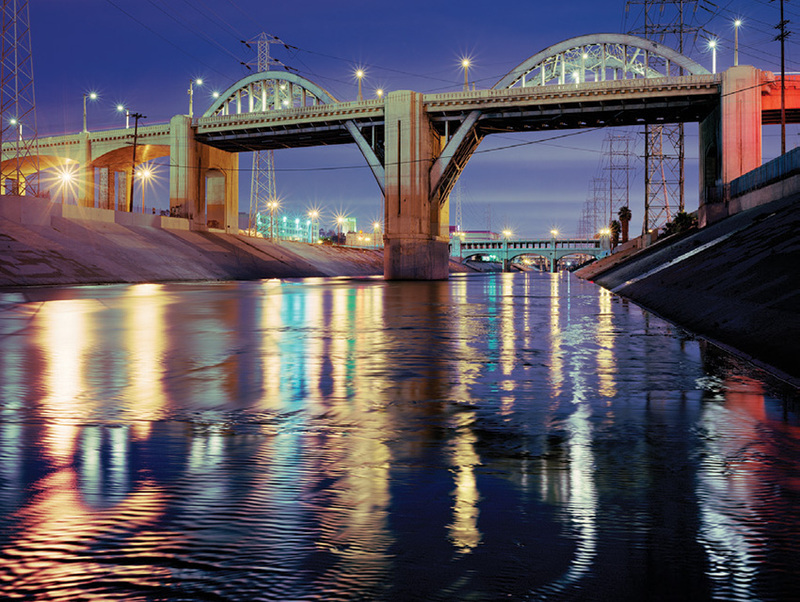 Home Architecture Can the New 6th Street Viaduct Help Transform L.A.? Can the New 6th Street Viaduct Help Transform L.A.? This year it’s out with the old as demolition begins today on one of the city’s icons, the 6th Street Viaduct. Since 1932, the bridge has joined Boyle Heights with the eastern reaches of downtown across the Los Angeles River; it’s also served as a dystopian stage in a Terminator sequel and Fear the Walking Dead. A chemical reaction has weakened the viaduct’s concrete supports, turning it into a seismic hazard. 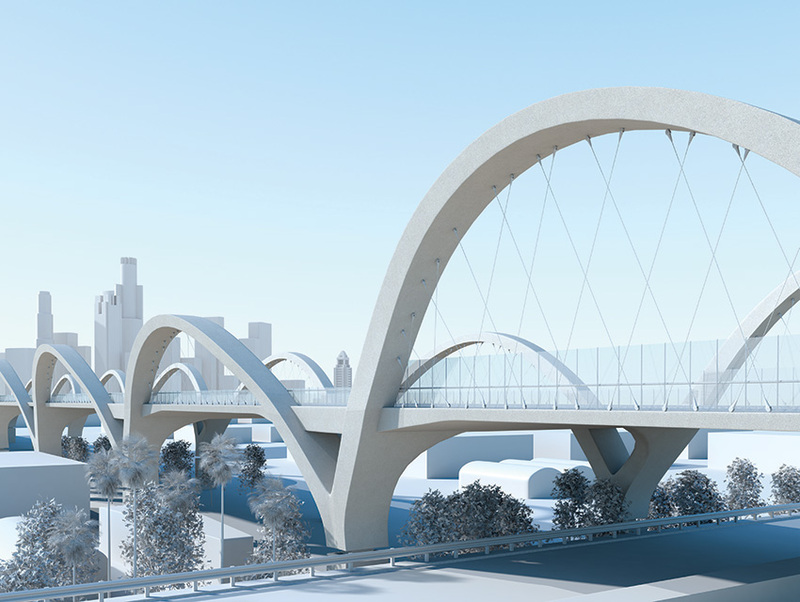 An expanse of wavy white arches that looks like the time-lapse trajectory of an inexhaustible Easter Bunny, the new 6th Street Viaduct is being designed by Michael Maltzan. The Silver Lake-based architect hopes it will be the symbol of a city bounding joyfully into the future when it opens in 2019. The old viaduct sped cars and trucks across a chasm; Maltzan’s design also allows pedestrians and bike riders to pause for selfies along the way or dip toward the banks of the L.A. River and a soccer field. Exuberance is a throughline in Maltzan’s portfolio, from the warp-factor forward motion of his Billy Wilder Theater at the Hammer Museum to the floating plateaus in his master plan for the Art Center College of Design in Pasadena. Maltzan designed Michael Ovitz’s residence as well as four apartment buildings for the Skid Row Housing Trust. The impermanence of L.A.’s built environment is no vice.